Laser Therapy is clinically proven as an effective treatment for pain and inflammation. 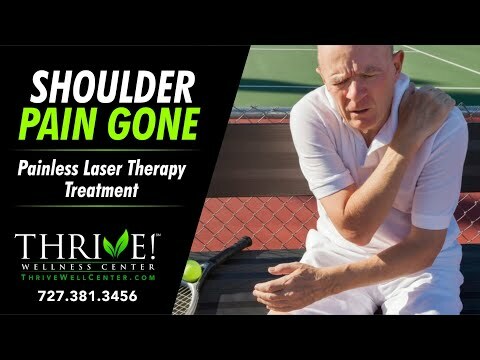 Able to penetrate to deep tissue structures, it has the ability to treat a wide variety of both acute and chronic conditions including sports injuries, sprains & strains, low back pain, arthritis, hip bursitis, sciatica, foot and ankle conditions, golfer's elbow, tennis elbow and chronic neck pain. Deep tissue conditions are treated especially well using the LightForce™ Therapy Laser's patented Laser-Massage® treatment head. This patented feature allows the practitioner to deliver energy DEEP into the underlying tissue and muscle thus enhancing the effectiveness of the treatment. 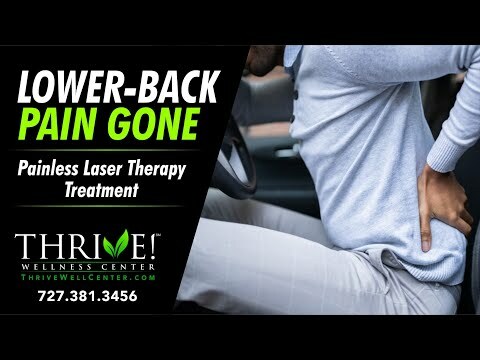 Patients feel a soothing warmth as laser energy gently penetrates tissue and boosts your body's own regeneration powers to relieve your pain. Treatments are painless and fast (5 to 10 min). Results can be immediate but the most observed results are after 6 treatment sessions. The body continues to benefit from the effects of the therapy for 18-72 hours after treatment. During this time, modulated cellular activity leads to decreased pain and inflammation. Low level laser therapy (LLLT) has been investigated and applied clinically for more than 30 years . Many studies demonstrate the safety and efficacy of LLLT. A systematic review of 11 trials that included 565 patients demonstrated that LLLT used in a specific dose range significantly reduced pain in chronic joint disorders . Another systematic review with metaanalysis of 18 randomized placebo controlled trials evaluating LLLT in elbow tendonopathy concluded that LLLT provided short term pain relief with less disability, when administered in optimal doses directly to the lateral elbow tendon insertions3 . Another randomized placebo controlled trial treating activated Achilles tendonitis in seven patients demonstrated that LLLT suppresses inflammation, measured by reduction in the inflammatory marker PGE. Further, LLLT improved clinical indices of pressure pain and sing hop function in these patients . This therapeutic modality has become well established in sports medicine and physical therapy as a safe and effective method to treat pain by decreasing inflammation. 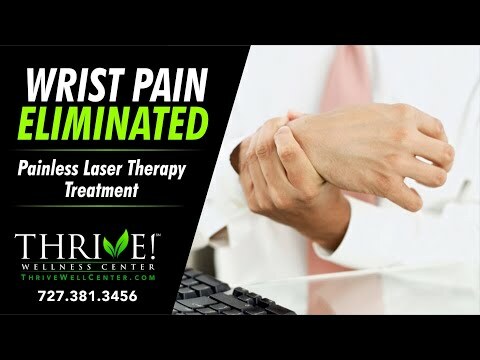 The expansion of laser therapy for pain management, inflammatory reduction and accelerated healing has driven the need for higher power output levels and longer wavelengths resulting in deeper tissue penetration. The trend in laser therapy over the past ten years has been to increase power density and dose. This has been shown to significantly improve therapeutic outcomes. Early therapeutic lasers offered a power output of perhaps 5mW, current FDA cleared systems can provide up to 15,000 mW (15 Watts) power output . LLLT performed with Class IV lasers employs wavelengths in the 810nm and 980nm range. When deep penetrating PBM Photobiomodulation occurs there is pain relief, reduction of inflammation and accelerated tissue healing time. The best clinical results are achieved when a sufficient number of photons reach the target tissue. The therapeutic dose is measured in Joules (J) delivered per cm². The World Association of Laser Therapy (and other authorities) has established that target tissues need a dose of 5-7 J/cm² to elicit a biological cellular response. Controlled clinical studies on laser therapy have demonstrated that the most common reasons for poor clinical outcomes are related to inadequate power, dosage, short wavelengths and nonscientific treatment protocols. Some treatment protocols have been developed to accommodate older, lower power laser systems. However, newer, higher power systems coupled with protocols based on the scientific literature have been shown to produce the best therapeutic results. However, misunderstanding remains among practitioners with regard to selection of a therapeutic laser system that will deliver the deepest tissue penetration and stimulation to address conditions routinely seen in practice. The purpose of this article is to briefly review the importance of output power and tissue penetration in therapeutic laser systems and demonstrate their influence on clinical outcomes through illustrative case and interventional studies. The interventional study is particularly important as there are few large prospective studies focused on Class IV laser therapeutic outcomes. This ambitious study will enroll 500 patients when completed, with an initial report on outcomes for seven clinical conditions in 118 patients. Tissues ischemic as a result of inflammation, edema and injury have been shown to have a significantly higher response to laser therapy output power, wavelength and power density than normal tissue6 . The biological response includes DNA/ RNA synthesis, increased cAMP levels, protein and collagen synthesis and cellular proliferation. These reactions lead to rapid normalization, regeneration and healing of damaged tissue – the laser light modulates cellular metabolism . Laser light energy absorption by skin and subcutaneous tissue is estimated to be 50-90%, with absorption increasing as the wavelength, measured in nanometers (nm), decreases7 . Longer wavelengths up to approximately 1000 nm are preferable for deeper penetration to initiate reduction of pain and inflammation, and accelerated healing. Penetration is key to therapeutic result and longer wavelengths result in deeper penetration. There is no therapeutic value to increasing the dose of a wavelength with inadequate tissue penetration. Therapeutic laser dosage is dependent on three factors: power output, wavelength and time. Higher power output, at a longer wavelength (up to 1000nm), over a longer period of time results in a higher therapeutic dosage to the tissue. The actual therapeutic benefit will be determined by the density, color and type of the tissues in the path of the laser. Common musculoskeletal conditions that require intervention include neck and low back pain8 . 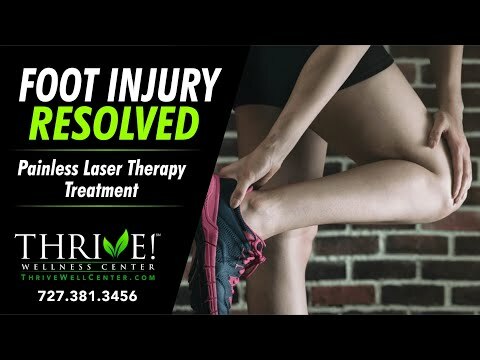 Given that the most likely origins of this pain lie below multiple layers of muscle and fascia, satisfactory pain relief requires a therapeutic laser system with adequate tissue penetration to stimulate the physiological events necessary to reduce inflammation and accelerate tissue healing9-13. Numerous published clinical reports have concluded that low level (Class III) laser therapy is suboptimal in adequately treating musculoskeletal disorders14, carpal tunnel syndrome15-16, arthritis17-20 and pain21-27. Despite the documented marginal clinical outcomes from LLLT, there remains concern regarding tissue overstimulation and a retarded healing process that may result from the use of higher power laser systems. However, there are no in vivo studies in humans to validate this concern. The clinical literature offers an increasing body of evidence supporting the use of Class IV lasers in a wide range of clinical conditions, demonstrating successful therapeutic results28-30. Additionally, cosmetic laser applications such as hair removal, skin resurfacing and tattoo removal, use thousands of times more power than Class IV therapy lasers. These cosmetic lasers are being used safely without complications in millions of procedures per year around the world. Many of these procedures have been approved for more than 15 years without any detrimental short term or long term effects. All patients in the interventional and case studies were treated with the LiteCure FXi® according to therapeutic protocols developed through the scientific literature. The FXi delivers up to 15 Watts of deep, penetrating laser therapy through an optically correct quartz ball, providing massage benefits in addition to the demonstrated therapeutic results of the Class IV laser. Mechanically manipulating soft tissue as laser light is delivered allows for more deep structures to gain exposure to photonic energy, resulting in more rapid healing and improved pain relief through PBM Photobiomodulation. The FXi is a new therapeutic option based on science and technology, with proven positive clinical outcomes. Objectives: Establish laser therapy protocols for each of seven clinical conditions, trend and analyze patient response to therapy in each condition. Methods: Total patient sample to be studied: 500 adults (age >25). These will be roughly equally divided between seven clinical conditions. Trial laser therapy protocols were developed for each clinical condition and patient cohorts within each condition as defined by age, gender, acute onset or chronic disease (Table 1). Approximately 80% of participants had conditions categorized as chronic. Discussion: Even though 80% of the initial study participants suffered from chronic disease, response to treatment was remarkably high and consistent for most clinical conditions treated. The laser treatments were well tolerated by patients, many reported improved mobility and reduced pain and swelling following just one or two therapy sessions. In comparison to therapeutic results reported for LLLT (Classes I- III) in the above conditions, Class IV laser therapy based on scientifically developed protocols, outcomes are striking. The patient enrollment objective of 500 will provide more definitive evidence of therapeutic outcomes, however, results from this initial assessment of 118 patients and trial protocols are encouraging. Therapeutic performance of Class IV laser systems in everyday use by clinicians is well illustrated by case studies. The following offer significant evidence of successful outcomes in the clinical setting. History: Patient is a 66 year-old female presenting with right shoulder pain seven weeks post arthroscopic repair of the supraspinatus tendon. Supraspinatus press test was pain positive at 10/10 with tenderness over the AC joint and biceps tendon. She exhibited moderate Trps at the right teres minor, subscapularis and supraspinatus. Capsular restrictions and positive mild swelling were noted. Supraspinatus tendon strength was graded at 2+ /5. Active and passive range of motion (ROM) were reduced to 88-100 degrees with pain at 8/10. Treatment: A series of six Class IV laser treatments was applied using 4000 joules at continuous wave (cw) to the right shoulder over a period of three weeks. Results: Significant pain reduction was noted on Visual Analogue Pain Scale and both active and passive ROM were restored to normal ranges. Conclusion: This positive patient response demonstrates clinical effectiveness of Class IV laser therapy in post surgical healing and restoration of function following right rotator cuff surgical repair – all outcome measures improved dramatically. History: Patient is a 48 year-old male presenting with constant right hip and leg pain over a period of three weeks. Pain is worse with sleeping and sitting produces pain that travels up the back. Treatment: Three treatments were initiated. • Ten watts at 4,500 joules to L3-S1 and right gluteal. • Ten watts at 5,550 joules to the lumbosacral spine and right gluteal. • Ten watts at 5,950 joules to the lumbosacral spine, right gluteal and lateral leg. Results: Patient reported that he was more comfortable and could stand with less pain following second treatment. Post third treatment, patient reported no pain or discomfort in the buttock or lower leg. The patient has been pain free and continues to improve. Conclusion: This positive patient response demonstrates clinical effectiveness of Class IV laser therapy in hip and leg pain with only three treatments33. History: Patient is a 42 year-old male presenting with right lateral elbow and arm pain over a period of one year, attributed to ergonomic stress on the elbow during work as an accountant. Right hand grip was affected. He was treated with cortisone injections and other medical therapy without success. Treatment: Four treatments were applied at ten watts and 3,500-4,300 joules in cw mode to the lateral elbow and forearm. Ice was applied to the treated site to reduce inflammation. Results: Following the first treatment, weakness was still present, but tissue was softer, less swollen and pain was reduced by 50%. After the four treatments patient’s grip had improved and there was approximately 80% reduction in tenderness, swelling and pain with movement. Conclusion: This positive patient response demonstrates clinical effectiveness of Class IV laser therapy in lateral elbow and arm pain due to work related ergonomic stress33. History: Patient is a 55 year-old female presenting with post-surgical fusion of the C4-C7 vertebra, resulting in right trap muscle and neck pain. Post surgical swelling and numbness were still present. Treatment: Ten sessions of laser therapy at 15 watts and 3,800-5,100 joules in cw mode were applied over five weeks. Results: The patient was able to reduce pain medications after the second session stop medications following the third treatment. After the fifth treatment the patient could resume bicycling without pain in her neck and shoulder. The patient exhibited 95% reduction in pain at the conclusion of the therapy sessions. Conclusion: This positive patient response demonstrates clinical effectiveness of Class IV laser therapy in post surgical fusion neck and shoulder pain. History: Patient is a 47 year-old male presenting with right lateral epicondylitis from repetitive stress. The radial head and tissue surrounding the lateral elbow showed hypersensitivity to touch. Treatment: Three sessions of laser therapy at 15 watts and 4,800 joules in cw mode with roller ball attachment. Patient was instructed to bend and twist the affected arm during laser therapy to promote tissue release. Results: The initial treatment produced pain relief in the elbow for 24 hours. Following the full course of treatment, elbow pain was entirely gone, leaving only tenderness upon deep palpation. The patient returned to work with full recovery. Conclusion: This positive patient response demonstrates clinical effectiveness of Class IV laser therapy in lateral epicondylitis due to repetitive stress. History: Patient is a 38 year-old female presenting with chronic plantar faciitis to the right foot. She had found some relief while walking by wearing a soft boot. Treatment: Six sessions of laser therapy at 15 watts and 4,800 joules in cw mode with rollerball attachment. Results: The initial treatment produced significant reduction in Achilles tenderness and pain intensity along the foot fascia. Following the full course of treatment the patient has achieved 90% improvement with 10% residual. She is walking without a supportive boot and maintains an essentially pain free workout program. The laser therapy program has been well tolerated and 100% improvement is anticipated with a few more treatments. Conclusion: This positive patient response demonstrates clinical effectiveness of Class IV laser therapy in chronic plantar fasciitis. The FXi from LiteCure is the first and only Class IV Laser-Massage® System currently available to medical professionals providing laser therapy to their patients. The FXi can deliver up to 15 Watts of deep, penetrating laser therapy through an innovative, optically correct quartz ball, providing massage benefits in addition to the increasingly proven therapeutic results of the Class IV laser. By mechanically manipulating soft tissue as laser light is delivered, more deep structures are exposed to photonic energy, resulting in more rapid healing and improved pain relief through photobiostimulation. The FXi is a new, drug-free, therapeutic option based on science, well demonstrated by the above case and interventional studies. Tissue that is damaged and poorly oxygenated as a result of swelling, trauma or inflammation has been shown to respond significantly to laser therapy irradiation. At the cellular level, deep penetrating photons activate a biochemical cascade of events leading to increased DNA/RNA, protein and collagen synthesis, increased cAMP levels, and cellular proliferation. The result of these reactions is rapid cellular regeneration, normalization and healing. Laser light energy is highly absorbed by skin and subcutaneous tissue, therefore, penetration is key to therapeutic result. Longer wavelengths and higher power output result in deeper penetration and higher dosage to the tissue. Larger laser therapeutic dosage levels produce improved clinical outcomes as illustrated in the case and interventional studies cited above. LLLT (Classes I-III) does not provide optimal clinical outcomes in most disease conditions because they cannot deliver the necessary dosage to deep structures without using excessively long treatment times. Class IV lasers have been shown to provide both the wavelengths and output power levels necessary to trigger therapeutic cellular metabolic changes. The Class IV LiteCure FXi Deep Tissue Laser Therapy System applied using scientific treatment protocols provides demonstrated clinical therapeutic benefits to patients in a clinical setting for a wide range of both acute and chronic diseases, regardless of age or gender. It is supported by comprehensive on site and online training and practice integration programs. 1. Moshkovska T, Mayberry J. It is time to test low level laser therapy in Great Britain. Post Grad Med J 2004;81(957);436- 441. 2. Bjordal J, Couppe C, Chow R, Tuner J, Ljunggren E. A systematic review of low level laser therapy with location specific doses for pain from chronic joint disorders. Aust J Physiother 2003;49(2): 107-16. 3. Bjordal JM, Lopes-Martins R, Joensen J, et al. A systematic review with procedural assessments and meta-analysis of low level laser therapy in lateral elbow tendonopathy (tennis elbow). BMC Musculoskeletal Disorders 2008;9:75-100. 4. Bjordal JM, Lopes-Martins R, Iverson VV. A randomized, placebo controlled trial of low level laser therapy for activated Achilles tendonitis with microdialysis measurement of peritendinous prostaglandin E2 concentrations. Br J Sports Med 2006;40:76-80. 5. Prochazka M. “Class IV Laser in Noninvasive Laser Therapy.” Laser Partner, 22 March 2006. www.laserpartner. org/lasp/web/en/2003/0069. html. 6. Karu T. The Science of Low Power Laser Therapy. Amsterdam, the Netherlands: Gordon and Beach Science Publishers; 1998. 7. Bogduk N, Marsland A. The cervical zygapophyseal joints as a source of neck pain. Spine 1988;13:610-7. 8. Bogduk N, April C. On the nature of neck pain, discography and cervical zygapophyseal joint blocks. Pain 1993; 54:213-7. 9. Bamsley L, Lord SM, Waffls BJ, Bogduk N. The prevalence of chronic cervical zygapophyseal joint pain after whiplash. Spine 1995;20(1):20-6. 10. Lord SM, Barnsley L, Wallis BJ, Bogduk N. Chronic cervical zygapophyseal joint pain after whiplash: a placebo controlled prevalence study. Spine 1996;21(15):1737-45. 11. Smythe M, Wright V. Sciatica and the intervertebral disc. An experimental study. Bone Joint Surg 1958; 40:1401-18. 12. Kuslich AD, Ulstrom CL, Michael CJ. The tissue origin of low back pain and sciatica. Ortho Cln North Am 1991;22:181-187. 13. de Bie RA, de Vet HC, Lenssen AF, et al. Low-level laser therapy in ankle sprains: a randomized clinical trial. Arch Phys Med Rehabil 1998;79(11):1415-1420. 14. Brosseau L, Welch V, Wells G, et al. Low level laser therapy (Classes I, II and III) for treating osteoarthritis (Cochrane Review). The Cochrane Library, Issue 3, 2002. Oxford, UK: Update Software; 2002a. 15. O’Connor D, Marshall S, Massy-Westropp N. Nonsurgical treatment (other than steroid injection) for carpal tunnel syndrome. Cochrane Database Syst Rev 2003;(1):CD003219. 16. Nussbaum E, Lilge L, Mazzulli T. Effects of low-level laser therapy (LLLT) of 810 nm upon in vitro growth of bacteria: relevance of irradiance and radiant exposure. CUn Laser Med Surg 2003 Oct;21(5):283-90. 17. Brosseau L, Welch V, Wells G, et al. Low level laser therapy (Classes I, II and III) for treating rheumatoid arthritis (Cochrane Review). The Cochrane Library, Issue 3, 2002. Oxford, UK: Update Software; 2002b. 18. Marks R, de Palma F. Clinical efficacy of low power laser therapy in osteoarthritis. Physiother Res Int 1999;4(2):141- 157. 19. Puett DW, Griffin MR. Published trials of non-medicinal and non-invasive therapies for hip and knee osteoarthritis. Ann Intern Med 1994;121(2):133-140. 20. Crawford F, Atkins D, Edwards J. Interventions for treating plantar heel pain (Cochrane Review). The Cochrane Library, Issue 3, 2002. Oxford, UK: Update Software. 21. Gross AR, Aker PD, Goldsmith CH, et al. Physical medicine modalities for mechanical neck disorders (Cochrane Review). The Cochrane Library, Issue 3, 2002. Oxford, UK: Update Software. 22. van der Heijden GJ, van der Windt DA, de Winter AF. Physiotherapy for patients with soft tissue shoulder disorders: a systematic review of randomized clinical trials. Br Med J 1997;31(5):25-30. 23. Binder A. Neck pain. Clinical Evidence, Issue 7. Tavistock Square, UK: BMJ Publishing Group; June 2002. 24. Crawford F. Plantar heel pain (including plantar fasciitis). Clinical Evidence, Issue 7. Tavistock Square, UK: BMJ Publishing Group; June 2002. 25. Speed C, Hazleman B. Shoulder pain. Clinical Evidence, Issue 7. Tavistock Square, UK: BMJ Publishing Group; June 2002. 26. Cullum N, Nelson EA, Nixon J. Pressure Sores. Clinical Evidence, Issue 7. Tavistock Square, UK: BMJ Publishing Group; June 2002. 27. Gerritsen AA, de Krom MC, Struijs MA, et al. Conservative treatment options for carpal tunnel syndrome: A systematic review of randomized controlled trials. J Neural 2002;249(3):272-280. 28. Nussbaum EL, Lilge L, Mazzulli T. Effects of 630-, 660-, 810-, and 905-nm laser irradiation delivering radiant exposure of 1-50 J/cm2 on three species of bacteria in vitro / CUn Laser Med Surg 2002 Dec;20(6):325-33.